Thanks to our convenient location along Highways 75 and 5, Van Alstyne is a convenient commute to Dallas, Frisco, Sherman/Denison and McKinney. And with the recent Sam Rayburn Tollway improvements, Dallas-Fort Worth Airport is less than an hour’s drive. Van Alstyne can meet virtually any need when it comes to price, space and level of upkeep. Our Georgetown neighborhoods along Highway 5 offer new construction and master-planned communities. Do you love all things vintage? 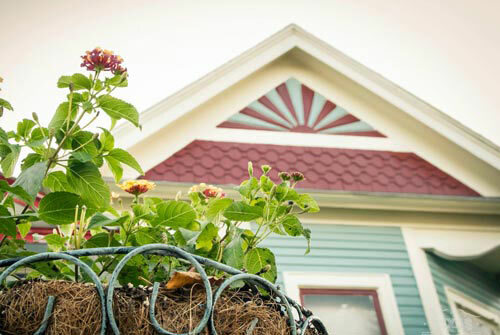 Find a restored or handyman special Victorian or cottage. We even have homes and loft apartments within walking distance of everything you need in our historic downtown. Just outside the city limits, you will find ranchettes as well as larger properties with agricultural exemptions. Visitors are drawn to our charming historic downtown, with its shops, restaurants and offices. Both fully restored and restoration opportunities are available. But if a manufacturing, warehouse or distribution center is what you need, we can help you with that, too. 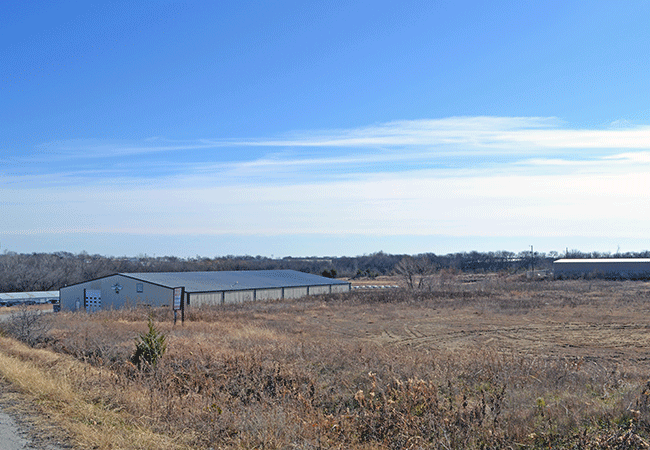 Light industrial spaces and land is available throughout the city, East, West and along Highway 75. 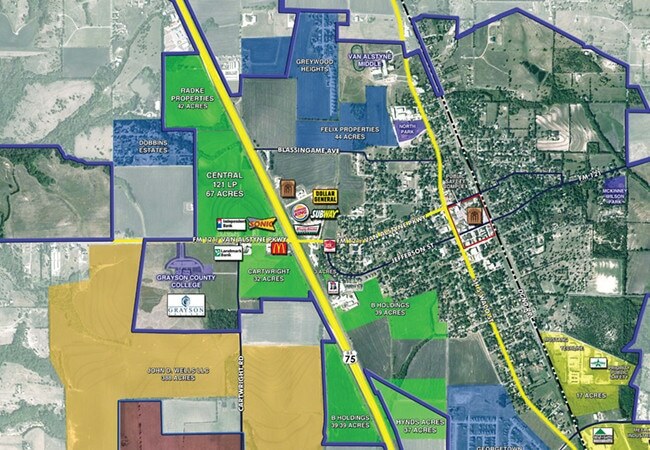 The Van Alstyne Economic Development Corporation can facilitate the development of additional industrial space. The rail spur in the Cold Springs Industrial Park is owned by the Van Alstyne Economic Development Corporation and provides area companies easy loading and unloading access from both sides of the track. Visit the Van Alstyne EDC website to learn more about the industrial park and search for available properties. Low-interest loans and grants are available to businesses adding jobs in Van Alstyne. Please contact the Van Alstyne Economic Development Corporation at 903-482-9587 for more details. Do you need assistance finding a home or commercial space? Do you need to sell your existing property in order to relocate? The Chamber membership includes several real estate professionals who can help you.